Last updated 05 October 2017 . By Faith Strickland. There's been a millisecond of sunshine which means only one things for Londoners, finding summer 2017's hottest rooftop terrace. Sisu is throwing their hat in the ring with a Scandinavian greenhouse roof bar moments from Marble Arch, on Oxford Street. Sisu (roughly translated as courageous from Finnish) is bringing Scandi sexiness with heated concrete seats, wooden benches, an 'oasis' canopy and a Negroni machine; form an orderly queue now. Two words: Negroni machine. That's right, Sisu is pumping the delicious cocktails out to save your parched souls this summer. The bar is the work of the team behind Notch (summer 2016) and Roofnic (summer 2015), so you're in for a goodie. 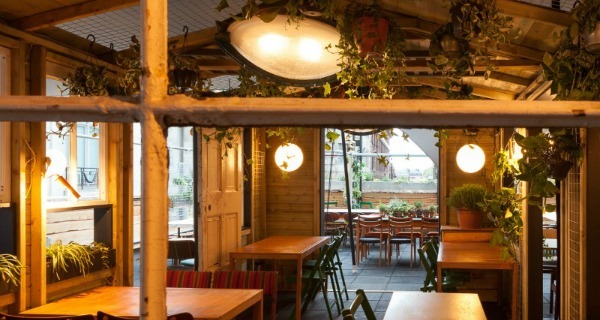 Food wise, the venue is a 'street food nature reserve', with an undercover RetrEAT made from reclaimed windows and foliage which serves street food bites.